Direct mail campaigns are an integral part of any business’s marketing strategy. Despite the rapidly growing digital influence on the marketing world, printed mailers still prove to be one of the most effective and engaging ways to communicate with prospective and current customers. 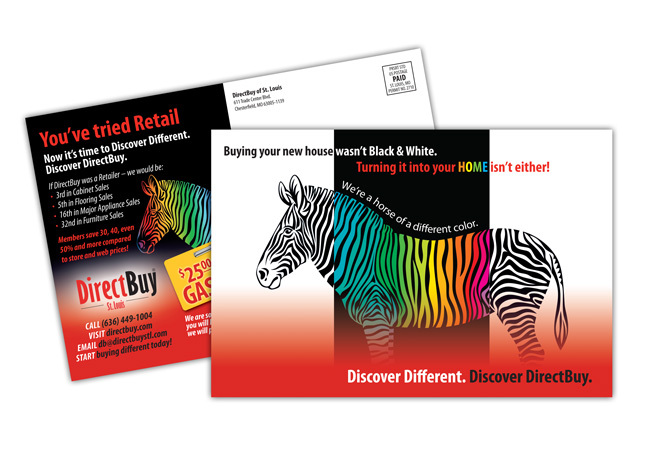 One of the most popular direct mail products is the postcard. Postcards have been used for years as a way to communicate short messages between friends, loved ones, business-to-consumer and businesses-to-business. The common perception of the postcard is of the traditional 4” X 5” size, with a picture on one side, and a brief message and the contact information on the other. But with increased custom printing options, a postcard doesn’t have to look standard any more. As you search for quality printing in St. Louis, keep in mind your ability to customize your postcards and the creative options available that can make your postcards really stand out. 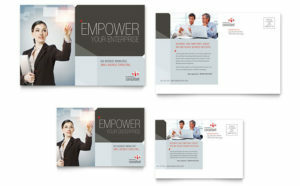 Let’s look at these five ways you can create more effective and visually stunning promotional postcards. When you send a postcard in the mail, you want to be sure your message arrives at its intended destination intact and looking as stunning as it did when it left. Because postcards are being sent through the mail without the protection of an envelope, it’s important to choose a material that is highly durable. How will your postcard be used? 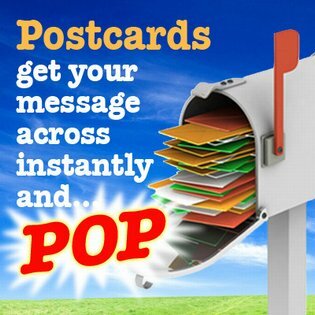 Postcards can be used as appointment reminders, business cards, announcements, thank you’s, or even discount coupons. Determining how you plan to use them will help you choose a material that fits your needs. How long do you want recipients to hold onto your postcard? If you plan to use your postcards as an alternative to business cards, you will want to choose a material that will last far beyond the initial mailing. Other uses, such as thank you’s, may not require as durable and long-lasting a material. How do you want the postcard to feel? Consider the desired texture and weight of your postcards. Different materials, even among cardstock and plastic varieties, will have distinctly different feels. How do you want the postcard to look? Are you going for a glossy or matte look? Somewhere in between? Decide how you want the final product to look, in order to guide you as you choose the right postcard material. Advances in printing technology offer a wide variety of sizes to complement your brand and the products or services you offer. This gives you the opportunity to think outside the traditional postcard box and find creative ways to communicate with your target audience. If you plan to mail your postcards to prospective customers as part of a direct mail campaign, a larger size will get them noticed right away. Amid the other dull, white envelopes in the mail, your promotional postcard is sure to stand out. Use a quick, distinct message that tells customers, at a glance, what your business is all about. For something subtler, new custom features, like rounded corners, can add an extra touch of style to the traditional postcard shape. There is also flexibility in the size of your postcard. Whether you only want to send a quick message or you want something that more closely resembles a plastic mailer, you can choose a postcard that has enough space for all your graphics and text. Small postcards can be ideal as alternative business cards, while large postcards make for eye-catching coupons and promotional offers. With direct mail communications, it’s important to use colors, images, and fonts that will grab people’s attention as they flip through their mail. That’s why, as you design the layout of your postcard, you’ll want to be sure the colors and images that cause instant notice. A commercially printed postcard can bring out those colors so your text and graphics look vivid and draw immediate attention to your message. Newer printing techniques make full-color postcards look more vibrant than ever before. Take advantage of this by featuring bold fonts, brightly colored photographs of your products, and creative graphics that integrate the style of your brand. In today’s fickle consumer market, providing interesting and engaging visuals can entice a potential customer to visit your business in person or your website for more information. The visual aspect of your postcard is important, but it won’t achieve much without well-written copy. The text of your postcard is what ultimately informs recipients and converts prospects into clients or customers. Postcards are generally brief and to the point, sticking to short, meaningful messages that can be scanned and read quickly. That means that every word counts and that businesses should take care in choosing how and what to write on their cards. Write and rewrite your copy multiple times. Send it around the office to get feedback from your team. You may even want to consider enlisting the help of a professional copywriter to give your postcard that additional competitive edge. Be clear, concise, and to the point. Be clever, catchy, and memorable. Provide current contact information and/or social media handles. With strong copy, your postcards will be much more effective and you’ll see a greater return on your investment. Today’s custom printing effects take the traditional postcard and make it something truly extraordinary, offering exciting new finishes that are hard to ignore. Luster cards, which bring high-gloss lamination to your postcards’ surface to give them more shine, greater durability, and a touch of water resistance. Pearl metallic, which uses embedded pearl fibers to create a shimmering, metallic appearance. This makes the card’s surface look and feel smoother. Akuafoil effect, which brings a special kind of sparkling radiance to postcards and other paper surfaces using a foil finish. Take a minute to learn about this unique, and often overlooked, printing process. Natural cards, which send an environmentally friendly message to your customers, using all organic materials. This is the perfect choice for any brand that prides itself on sustainability or organic practices. Creating an effective postcard for your promotional needs is easier and more fun with the help of modern printing technology. Don’t let your next batch of postcards be a flop. Use these tips to print postcards that capture the attention of your prospects and drive the success of your direct mail campaigns.